I am a disabled vet that spends alot of my time hunting and fishing. I love to make deer jerky, but have had problems with some jerky getting done to hard and some not all the way. I use a dehydrator for making jerky. I have since bought a cheaper meat slicer to get exact cuts. What thickness do you recommend when cutting the meat for a dehydrator? How long do you recommend dehydrating? You're on the right track by purchasing a meat slicer! That will give you a more consistent thickness on your strips. A jerky slicer is even better because it's already gauged to the proper thickness, so you don't have to turn a knob to set the thickness. When you have different thicknesses, thin strips will be overcooked and thick strips will be undercooked, so you're on the right track. Thickness depends on your own personal preference. I'd say 3/16 - 1/8th of an inch is good for a dehydrator. I wouldn't go any thicker than that in a dehydrator because of the low drying temperature. Now for the rest of your question. You're also on the correct track: the amount of meat you place in the dehydrator is going to change the length of time you dry for. More meat equals longer drying times. With that being said, I hope you can see that making the same size batches every time is just as important as slicing the strips at the same thickness. It all works together, adding the seasonings to the correct poundage of meat, slicing the same thickness and drying according to the amount of product loaded into the smoker or dehydrator. I really can't give you an exact drying time because the time will vary according to the amount of meat placed into the dehydrator or smoker. My method for checking my finished jerky product is a two step process. 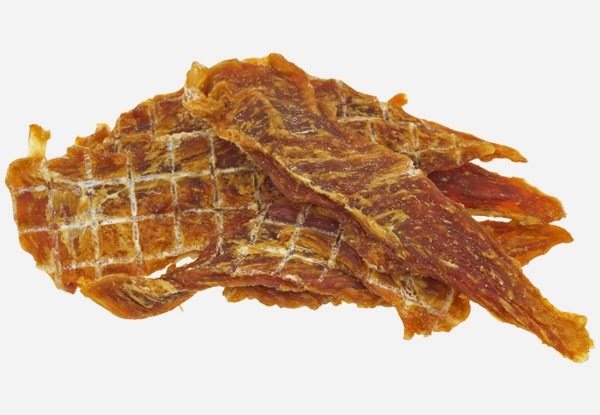 First I squeeze the jerky to be sure I no longer feel that "sponge texture" to the meat, however I still like to be able to flex and bend the jerky strip without it breaking, If it breaks, it's too dry, and if it still feels "spongy," then I have raw spots in the center of the strip. I then log the amount of time I dried the product and now I have a formula for the next batch! I hope this helps and remember it's all about consistency - in thickness, seasoning, batch size and drying time. 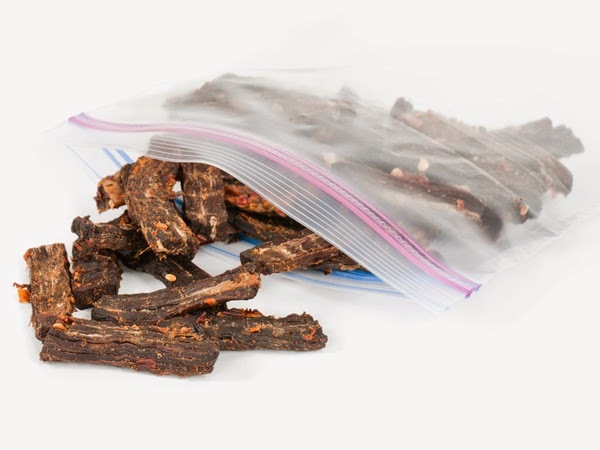 Be consistent and you will be making jerky like a pro! Thanks for the question Paul!